I had a great opportunity to sit down with Gjermund Weisz of Sportsim at the ESRI 2005 User Conference and talk to him about his product and how ESRI ArcWeb Services is working for him. Sportsim is a free product that users can upload their GPS tracks from their workouts and view them over maps and satellite imagery. They only charge for downloading maps out of their product and as of right now Gjermund said about 10% of their users take advantage of their product. 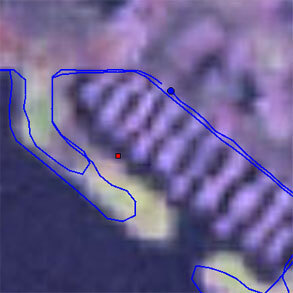 One of the great concerns for Sportsim is the lack of high resolution satellite imagery for the world. With Google Map and Google Earth, users expect and want great satellite imagery under their GPS tracks. Right now Sportsim is limited to basically Landsat and when you view a race such as the ESRI 5k run/walk you really see how bad the imagery is. The business model of Sportsim is really interesting, they give away the program allowing you to use it without any restrictions. They way the make money is by charging users to download maps. Of course as I said above people really want high detailed satellite imagery so without ArcWeb Services providing these satellite imagery people won’t pay Sportsim. 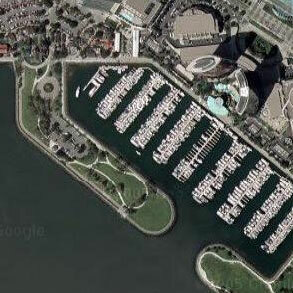 Take a look below at the ArcWeb Services satellite image vs Google Maps. You can totally see how people would gladly pay Sportsim for that kind of high quality imagery. For Sportsim to be profitable, they need to provide services that people want so unfortunately unless ArcWeb Services can provide imagery that Sportsim needs, they will have to go somewhere else. No one is currently providing this service (at least at a price a small company like Sportsim can afford) so there is a huge opportunity for ESRI and ArcWeb Services to totally shake up the market. Update - Andrea Rosso reminds us that ArcWeb does have high quality imagery, but not for areas such as Japan (or am I missing something). 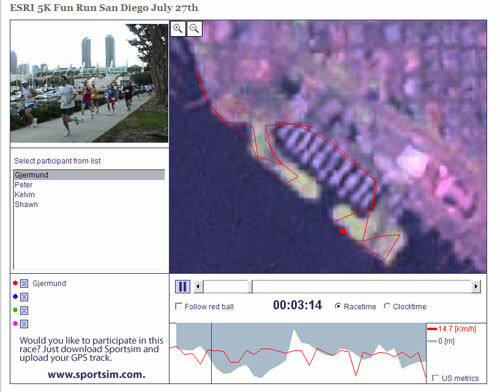 I used the ESRI 5k run just as an example (I could have used any event in Japan or Europe), but Sportsim does have very high quality coverage for San Diego. It is the worldwide stuff that has Gjermund worried. Andrea, beyond the descriptions on the ArcWeb website, is there a “coverage” map people can look at to see where different services are available?